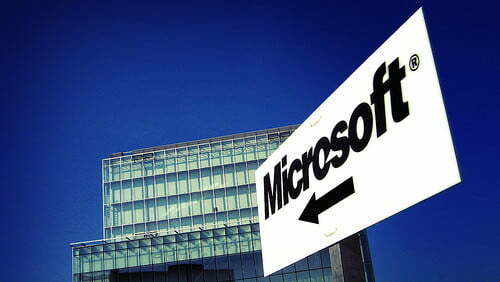 A Goldman Sachs analyst is painting a grim picture of 2011 for Microsoft unless it can deliver a tablet competitor. Tech Flash reports that Sachs analyst Sarah Friar doesn’t have a lot of faith in the company, saying that if it’s unable to join the tablet wars, its revenue growth could dwindle from 12 percent this last year to as low as 7 percent in 2011.
Business Insider reported earlier today that Microsoft has yet to invest in tablet development, but things seem to have changed as of this afternoon. The New York Times is claiming that Microsoft will be announcing an iPad competitor at CES, and lists Samsung and Dell as manufacturers. The article also states that a Microsoft employee reports the company is “encouraging partners to build applications for these devices that use HTML5” and that a separate source went as far as to infer there is a possibility of Steve Ballmer offering a demo of the tablet running the upcoming Windows 8 at CES. The next OS release is said to be developed with tablets in mind. From the sounds of it, it’s high time Microsoft enters this race. The company has lost some of its consumer presence in the last year, and the media has been speculating as to why it hasn’t released its Windows Phone 7 numbers. Friar’s note mentioned that she didn’t believe the smartphone would increase Microsoft’s share in the market in the near future, and that it would continue to hover below 10 percent. If any of this sound familiar, that’s because it is. Ballmer announced a flagship Microsoft tablet at last year’s CES, which showed up late and overpriced. But Ballmer reaffirmed this summer that Windows 7 slates are coming, and that they will ably compete with the likes of iPad.